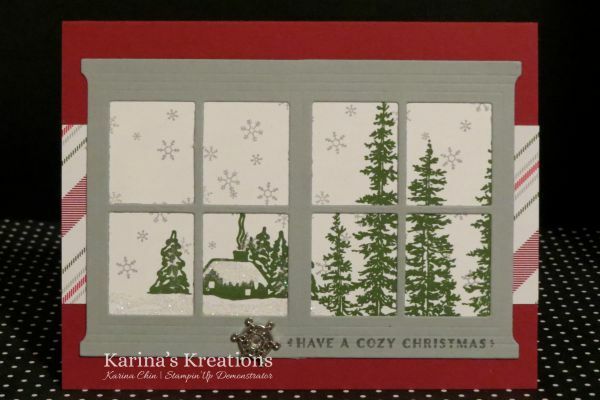 Karina's Kreations: Double Window Technique with the Hearth and Home Fraemlits Dies! Double Window Technique with the Hearth and Home Fraemlits Dies! I run a quarterly event called the creative day escape with my two friends Brenda and Donna. We each take a turn presenting and my presentation was based on the Hearth and Home Framelit Dies and the Festive Fireside Framelit Dies. This card uses a double window frame cute with the Hearth and Home framelit Dies. It's hard to see in the picture but I added some Dazzling Diamonds glitter with my 2 way glue pen. I made a video for my friends and in case I forgot how to do this technique in the future. 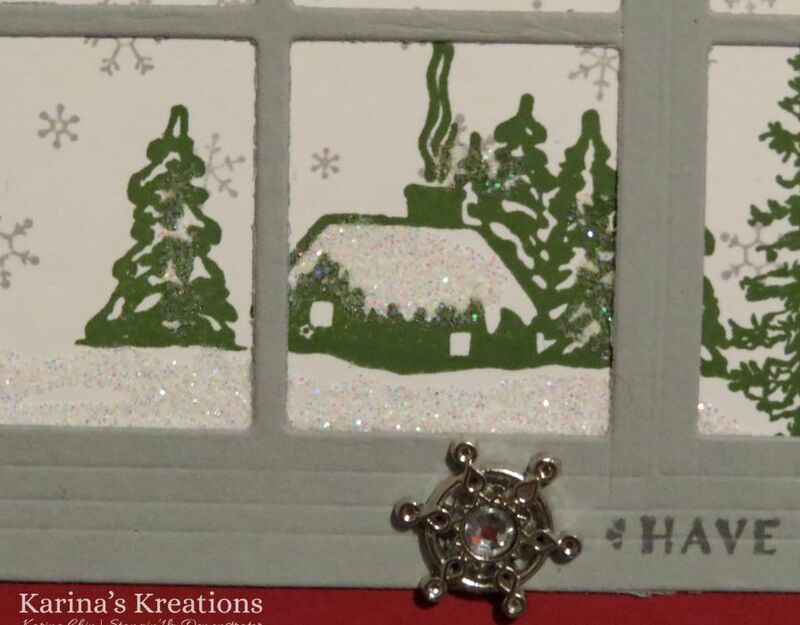 The Cherry Cobbler card stock is cut at 5-1/2" x 8-1/2"
The Merry Moments Designer Series Paper is 2" x 5-1/2"
The Smoky Slate layer starts at 4-1/4" x 5-1/2"
Whisper White card stock 3-1/4" x 4-3/4"